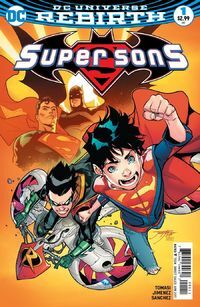 Super Sons: When I grow up features Superboy ( Jon Kent) and Robin (Damian Wayne) as they attempt to be heroes without their parents’ consent, Peter Tomasi and Jorge Jiménez team up to bring a light hearted adventure between the son of the bat and the man of steel. First off, the artwork in this comic is amazing, Jorge Jiménez work is top notch in my opinion his work is amongst the best today. 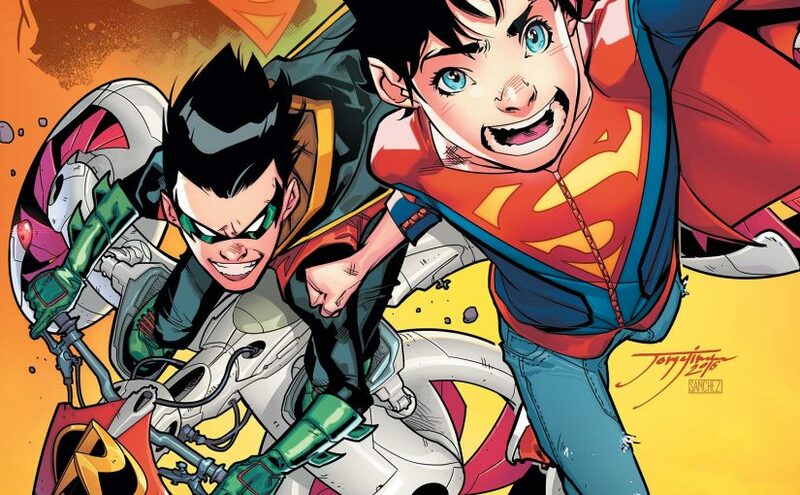 What makes Super Sons so delightful is the fact it has humor without trying to be, most of the humor is from Damian, from him dressing like a bus driver to him sneaking into Jon’s room, Damian’s maturity is what makes this issue funny, compared to Jon, he’s a season vet when it comes to getting into mischief. Jon is much like his father, as far as doing things the right way, stand up for those who can’t, he’s a little boy scout, as for Damian he’s the total opposite, the kid does whatever he wants whenever he wants. When Jon is at school Damian appears dress as the school’s bus driver along with being the substitute teacher in Jon’s third period class, the crazy thing about it is that he admits he was actually teaching the class and not faking it, when it comes to smarts Damian has to be one the smartest heroes in DC. As for Jon, he’s pretty much carbon copy of his father when it comes to his values, the kid is like a saint not a bad bone in his body. Later Both Superman and Batman are called in by the Justice League, and Damian decides to sneak into jon’s room and convinces him to help him solve a case involving break-ins and hacking attempts at LexCrop, when the boys get to LexCrop they are quickly discovered by Lex Luthor himself in his Superman suite. Next Next post: Monolith Productions releases Middle-earth Shadow of War Trailer! UPDATE: !! !